Phoenix is rising once again. 2017 Panini Phoenix Football ($112 per box with 2 Autographs and 2 Jerseys) arrives WEDNESDAY at Sport Cards Plus. And your 2017 Phoenix Football box purchase gets you TWO FREE PANINI KICKOFF PACKS. Once again, bold designs, autographs and memorabilia cards are among the draws. 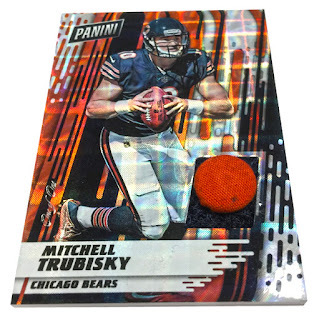 It’s also a little bit cheaper than many of Panini’s high-end releases, which should help give it a bit broader base of entry for collectors. The 2017 Panini Phoenix Football base set has a total of 200 cards. Sixty-five are veteran stars currently in the NFL. Another 35 are retired legends. The remaining half of the set is all rookies. Inserted approximately one per pack, this makes them short prints. That said, they shouldn’t be too tough to track down for anyone aiming for the full set. Parallels include nine tiers serial numbered to 299 copies or less. These are inserted about one per pack. 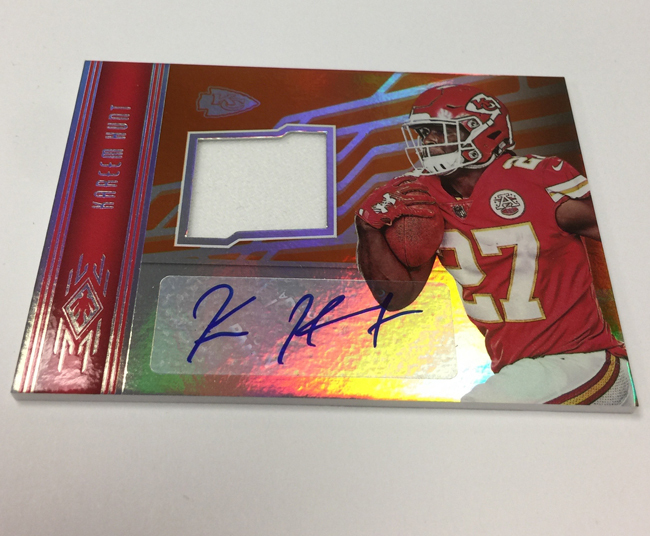 New to 2017 Panini Phoenix Football are Color Burst parallels. Not numbered, these are exclusive to one-per-box hot packs. All cards in these packs are Color Burst versions. 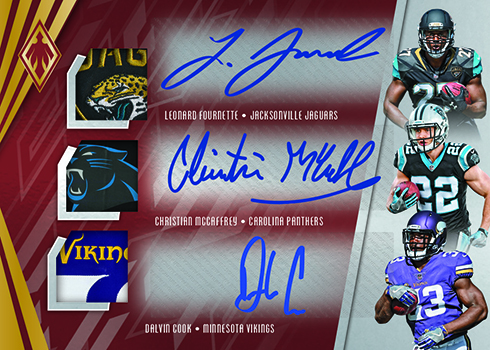 For those who chase hits, each 2017 Panini Phoenix Football hobby box has a pair of autographs and one memorabilia card. 1. Rookie Auto Jersey cards are numbered to 299 or less highlighting the 40 RPS players. 2. These same first-year standouts are included on Rookie Jumbo Auto Swatch cards. A little tougher to pull, these come numbered to 199 or less. 3.Finally, there are 20 Hot Rookie Material Signatures, which can include different relics rather than traditional jersey swatches. 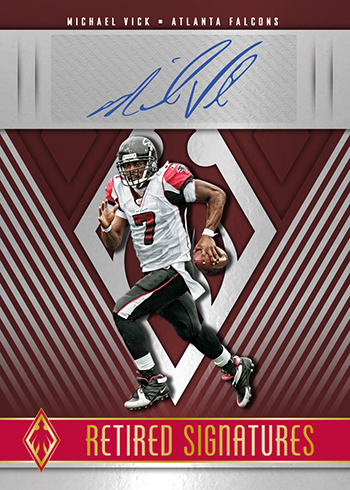 Each case of 2017 Panini Phoenix Football has either a Dual or Triple Autograph Patch card with signatures and memorabilia from multiple players. All come numbered no higher than 30. 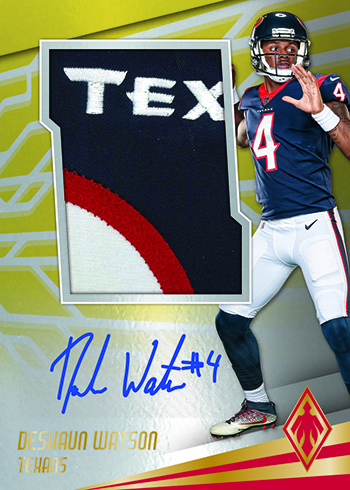 The Dual Autograph Patch checklist has 20 different cards while the three-player version has ten cards. Other signed inserts in the product include 20 Retired Signatures cards (/30 or less) and 30 Veteran Autograph Materials (/30 or less). 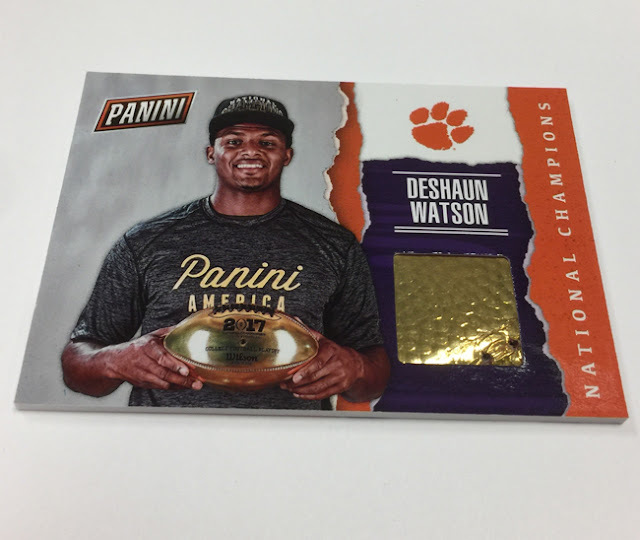 All regular 2017 Panini Phoenix Football memorabilia cards are numbered to a maximum of 79 copies. For rookies, there’s RPS Memorabilia and RPS Jumbo Memorabilia. Each has 40 cards. Rarer relics are Veteran Materials (20 cards, /49 or less) and Retired Patches (20 cards, /20 or less). 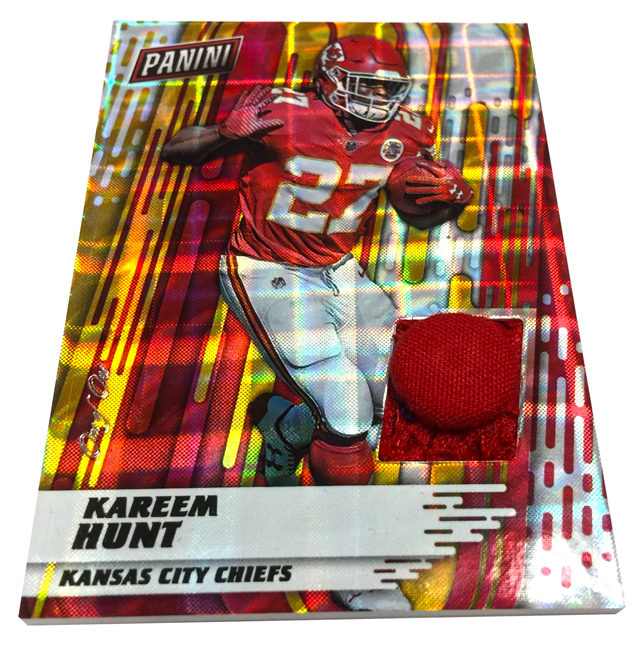 A handful of regular insert sets round out 2017 Panini Phoenix Football. 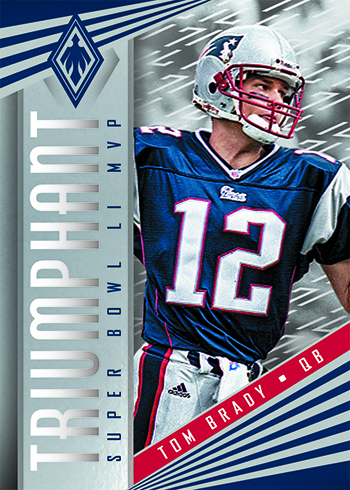 Triumphant is a ten-card set that celebrates Tom Brady and his career thus far. Power Surge spotlights 30 of the NFL’s top defensive players, a group that is often overlooked when it comes to football cards. 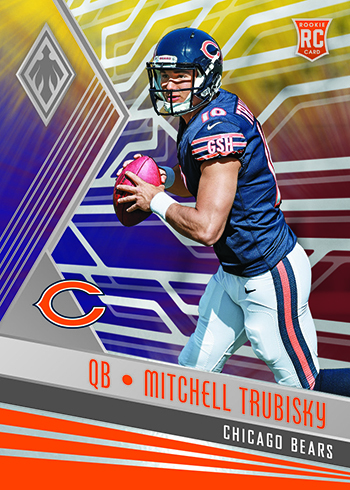 Other inserts include Legacy (ten cards), Rookie Rising (30 cards), and Adrenaline Rush (20 cards). Below are three examples of The NEW Panini NFL Kickoff cards. Get TWO FREE 2017 Panini NFL Kickoff Packs with each 2017 Phoenix Football box purchase.